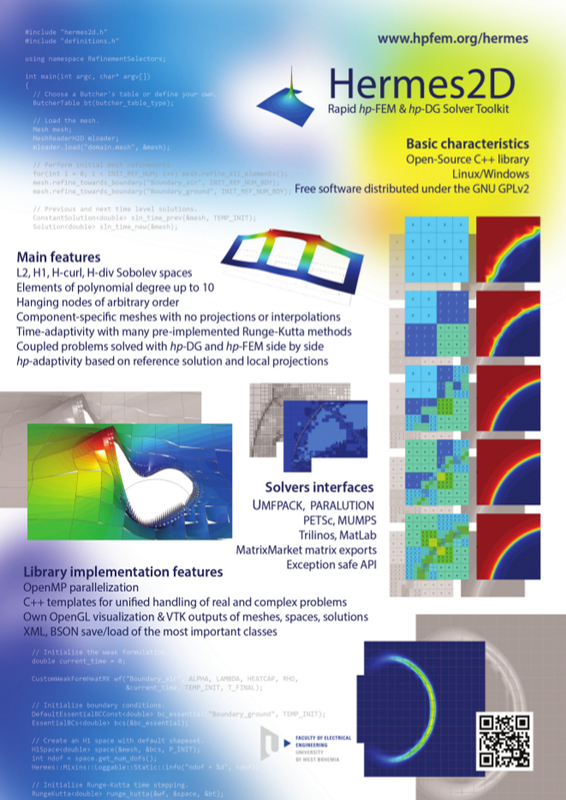 Hermes2D is a C++ library for rapid development of adaptive hp-FEM / hp-DG solvers. Novel hp-adaptivity algorithms help solve a large variety of problems ranging from ODE and stationary linear PDE to complex time-dependent nonlinear multiphysics PDE systems. 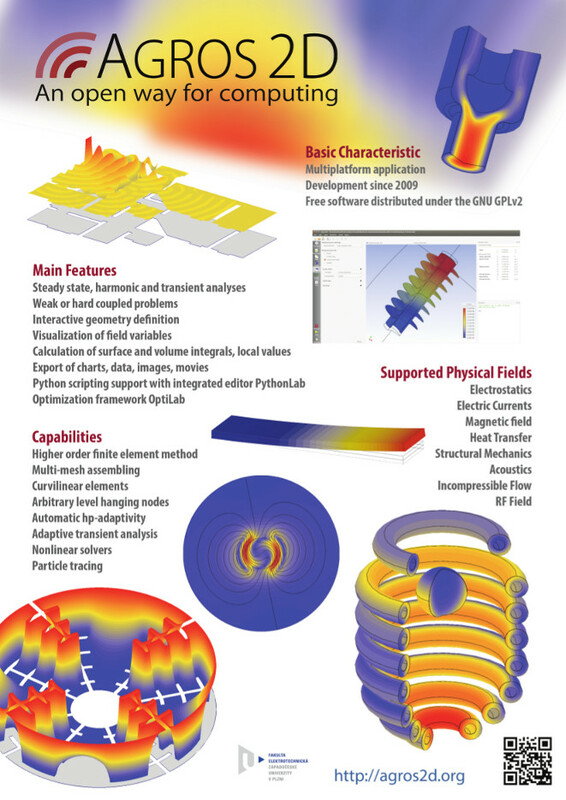 Agros2D is a cross-platform multiphysics graphical application with powerful pre-processing, solution, and post-processing capabilities, optimization & scripting tools and more. Hermes2D version3.1 released - more info on the Hermes page. Hermes2D & Agros2D version 3.0 bring many new improvements in user experience as well as reliability and performance. Be sure to check out website dedicated to Agros2D for details of new features in preprocessor, postprocessor and computation control available there. The conference ISTET 2013 was organised by our department. The organizers thank you very much for participating. - Exception-safe API, bugfixes, etc. Copyright © 2019 hp-FEM Group. All Rights Reserved.